Nearly half a million children living in the United States have elevated blood lead levels that may cause significant damage to their health, estimates the Centers for Disease Control and Prevention (CDC). The estimate is based on children with a blood lead level of 5 micrograms per deciliter or higher using data from national surveys conducted in 2007-2008 and 2009-2010. Major sources of lead exposure to U.S. children include lead-based paint (homes built before 1978) and lead-contaminated dust in deteriorating buildings. Children can also be exposed to lead from additional sources including contaminated drinking water, take-home exposures from a workplace, and lead in soil. 1. Get Your Home Tested. Screening test are available in local retail stores or visit Ohio Department of Health for a list of certified Ohio lead inspectors. Before you buy an older home, ask for a lead inspection by a certified lead inspector. 2. Get Your Child Tested. Even if your young children seem healthy, ask your doctor to test them for lead. 3. Learn About Drinking Water. Water pipes in some older homes may contain lead solder where lead may leach out into the water. If interested in having your water tested, please see: water application. 4. Understand the Facts! Your local health department can provide you with helpful information about preventing childhood lead poisoning. Section 1018 Rule of the Residential Lead-Based Pain Hazard Reduction Act of 1992. The rule requires landlords, property management companies, real estate agencies, and sellers to inform potential lessees and purchasers of the presence of lead-based paint and lead-based paint hazards in pre-1978 housing. This ensures that potential tenants and homebuyers are receiving the information necessary to protect themselves and their families from lead-based paint hazards prior to them being obligated to purchase or rent pre-1978 housing. · Sellers and landlords must disclose known lead-based paint and lead-based paint hazards and provide available written reports to buyers or renters. · Homebuyers will get a 10-day period to conduct a lead-based paint inspection or risk assessment at their own expense. The rule gives the two parties flexibility to negotiate key terms of the evaluation. · Sellers, lessors, and real estate agents share responsibility for ensuring compliance. Lead poisoning is the most common and preventable environmental disease affecting America’s children. Lead poisoning affects one out of six preschool age children. The children may have developmental delays, growth delays, learning and behavior problems. These effects may be permanent. Children get lead poisoning by inhaling or ingesting lead from: Normal hand-to-mouth activity, lead based paint from home remolding or renovation projects, and soil or water that is contaminated with lead. Darke County landlords, real estate agencies, tenants, etc., can pick up the free pamphlet “Protect your family from Lead in your home” as well as sample Disclosure Form at the Darke County Health Department, Environmental Office located on the lower level of 300 Garst Avenue, Greenville, OH. 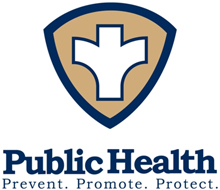 Please note, the Darke County Health Department does not test for lead in homes; however, screening test are available in local retail stores or visit Ohio Department of Health for a list of certified Ohio lead inspectors. For more information, contact (937) 548-4196 ext. 273 or visit the CDC’s lead page and ODH lead page.